Built by Neilson Reid of Glasgow in 1899 and sold to the Coltness Iron Co in 1902. The locomotive came from the NCB Twechar Colliery. At present a registered “Thomas” locomotive which has been regularly hired to several other railways in Scotland and England. 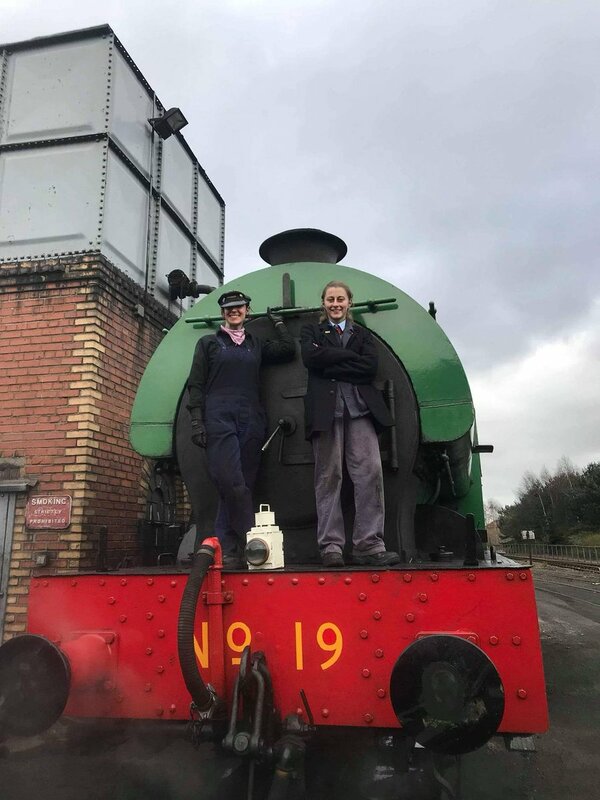 The locomotive has currently completed a major overhaul which has included new tyres and a complete rebuild of the boiler including a new firebox, significant new sections of the side sheets, back head, throat plate and repairs to the front tubeplate. A new smoke box has also been made together with a new chimney that was cast locally. The locomotive is now in traffic and is performing very well. NR 5710 was built to a stock order of 1899 and originally had no rear bunker, only having side bunkers that extended back into the cab as far as the entrance cut-outs. The reverser was bolted to the RH side bunker and the sanding linkages passed through the side bunkers. The injectors were Gresham and Craven backhead combination type of 8mm cone size and the RH injector body had a steam take-off flange that accommodated a standard Neilson steam brake valve. This type of valve can be seen on No.13 in the museum and was similar to the steam brake valve fitted to MAUDE when withdrawn from BR service in 1966. Neilson Reid was approached by the Coltness Iron Company who was looking for a locomotive that could operate traffic on the main line and No.5710 was offered for sale. 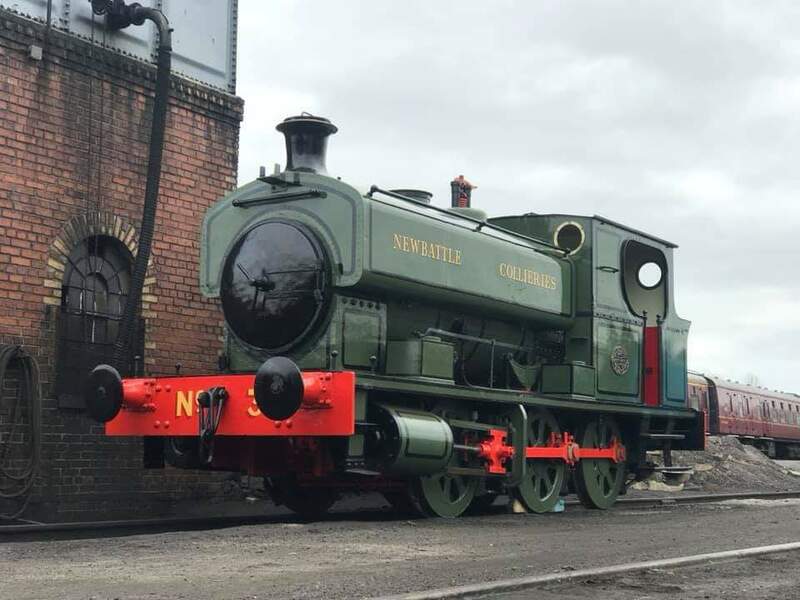 The Coltness Company required more fuel capacity, which led the NR drawing office to amend No.5710 by extending the frames and adding a rear fuel bunker. The date on the works plate (1902) is the date of the sales ledger and not the date of manufacture, which was earlier. No.5710 became Coltness No.1 and worked internal traffic as well as the Iron Company’s traffic over Caledonian and North British Railway lines in the area around Newmains, Cleland, Chapelhall and Salsburgh. This is why No.1 carries side lamp brackets because of the requirement to comply with Caledonian Railway lamp codes. As far as can be ascertained the locomotive was always allocated to the main ironworks shed at Newmains and was never outbased at any of the Company’s collieries or ironstone pits. No.1 was transferred to the National Coal Board Scottish Division (NCB) as part of the Scottish coal industry nationalisation settlement. This was a lengthy process and did not finish until 1956. The NCB took ownership of a number of Coltness Iron Company locomotives including the prototype of the Andrew Barclay Wemyss 18 inch side-tanks, Wks No.1985 of 1930. This was sent to Waterside in Ayrshire during 1955 and remained there until scrapped in the late 1960’s. No.1 was despatched to the Central West Area (Scottish Area 3) during late 1955 / early 1956 and was recorded as being sent to Twechar Yard from Coltness. This journey would have been made in steam via Coatbridge, Chryston and Kirkintilloch. Twechar Yard was the local name given to the former central workshops of William Baird and Company, which the NCB had inherited in 1947. The workshops included a heavy machine shop, electrical shop, blacksmith / fabrication shop, a wagon and hutch repair shop together with a locomotive shed that provided motive power for the collieries in the Kelvin Valley and at Gartshore. No.1 retained its Coltness number in the Central West locomotive plant list and was fitted with electric lighting powered from a Stones turbo-generator mounted on a plate above the RH side bunker. This equipment was supplied by Andrew Barclay and No.17 at Twechar (now at Shed 47) was also fitted with electric lighting at this time. There was some involvement in the fitting of these installations by Andrew Barclay’s staff. The reason for fitting some of the Twechar fleet with electric lighting was that the remaining collieries were in full production and the railway system was working on a 24 hour basis with certain pugs treble shifted. A partial overhaul was undertaken to improve the locomotive’s mechanical condition. During 1957 No.1 was sent to Bedlay Colliery to allow heavier trains to be worked as this pit was being modernised to increase production. Recorded as being at Twechar Yard in June 1958 where a full overhaul was undertaken and this included major works on the boiler and firebox. 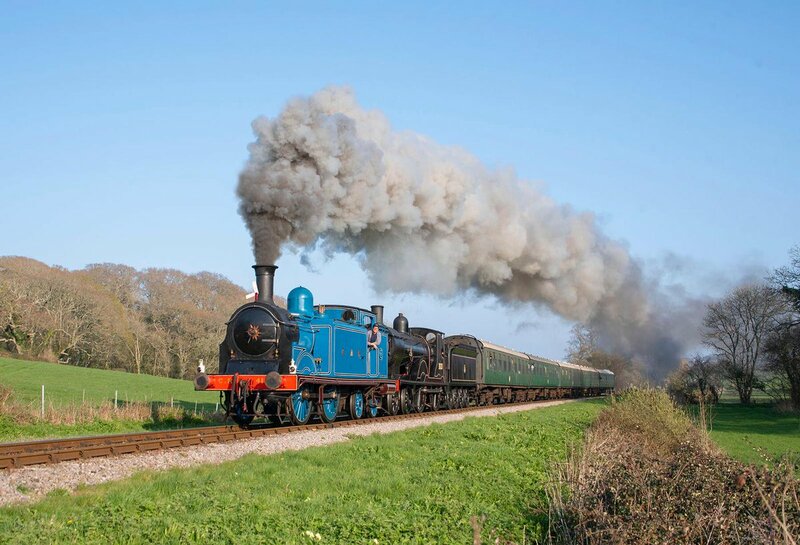 The boiler was sent to Andrew Barclay’s for a complete overhaul, which included the firebox. The welded plate sections in the firebox stem from this overhaul. Sent back to Bedlay Colliery in 1959 after the overhaul at Twechar was completed. This would have included a period being run-in on various traffic workings on the Twechar system before being despatched to Bedlay. At this time the NCB were still exercising running powers over BR from Twechar to Bedlay and Gartshore to Bedlay so Twechar may have sent No.1 out with a train of Dumbreck or Gartshore coal for washing at Bedlay. There then followed a period of very heavy use at Bedlay on the internal railway there as the pit was now in full production after the modernisation project had been completed. The electric lighting system on the locomotive was noted as being put to good use because double-shift working was often implemented to clear the traffic. Transferred to the new Central Area on 01/01/1962 remaining allocated to Bedlay. Sent from Bedlay to Twechar Yard for repairs during December 1963. Sent back to Bedlay after an overhaul during September 1964. A failure occurred at Bedlay that was sufficiently serious for the locomotive to be referred for repairs at a central workshop. As Twechar Yard was being run-down prior to closure in 1965, No.1 was allocated to Shotts Workshops for repairs. Axle bearing damage was the main reason for this stoppage it being deemed more cost-effective to undertake the repairs in a facility that had suitable resources available on-site rather than trying to progress the repairs at the pit. Transfer to and from Shotts Workshops was by road. Sent back to Bedlay during April 1965 with a further period of heavy use because of high production levels. At this time Bedlay Colliery was supplying various Lanarkshire steel works with high grade coking coal. Transferred to the new Scottish North Area on 26/03/1967 remaining allocated to Bedlay. During the period 1966 to 1967 the locomotive suffered a major failure of the LH crosshead and was stored awaiting a decision on whether it was to be repaired. This repair was never sanctioned because colliery closures within the Scottish North Area had released several serviceable pugs that were now surplus to requirements. In September 1968 the locomotive was presented by the NCB to the SRPS through the efforts of John Hume and the good relationship already established with the NCB Scottish North Area who had already donated No.13 to the SRPS in February 1968. These donations were facilitated by MR Skidmore the Area Manager and Mr Blelloch the Area Mechanical Engineer. The locomotive was despatched to Falkirk by rail in scheduled goods trains, sadly hot axleboxes ensued. The journals were machined many years later when an overhaul was commenced at Falkirk, subsequently completed at Bo’ness. The journal machining was undertaken at St.Rollox Works in Glasgow who also re-profiled the tyres on the leading and trailing wheelsets. The centre driving wheelset was formerly fitted with flangeless tyres and these were replaced by flanged tyres in 1979. This work was undertaken at cost price by the NCB in their Cowdenbeath Central Workshops. Two new austerity tyres were fitted and machined to the same wheel diameters as the leading and trailing wheelsets. The NCB offered to fit new tyres to those wheelsets as well however the SRPS had insufficient funds to pay for this work, which resulted in new tyres being machined down to the normal scrapping size. The Cowdenbeath Pug Shop foreman was almost in tears when he was told what was required. During the locomotive’s restoration the cylinder block was found to carry a small North British Locomotive Company plate indicating that it had been manufactured in 1939. There is a possibility that this cylinder block was supplied to Coltness as a spare because they had several pugs to the same design as NR 5710, but was never fitted. The cylinder block being transferred to the NCB along with the locomotive. The oral description by some NCB colleagues circa 1975 of the 1958 overhaul at Twechar Yard indicated that major work was undertaken on the frames and cylinders, one individual being sure that the frames were partially dismantled to facilitate cylinder block work. After No.1 was donated to the SRPS a further artefact was donated to the SRPS from the Bedlay railway. This was a pug coal tender that had been constructed at Twechar Yard at an unknown date and had been used by various pugs including No.13. It was of all steel construction, sadly the SRPS never collected it so in the early 1970’s it was scrapped during a general tidy-up of the surface area at Bedlay. References: Industrial Railway Society records including NCB plant maintenance registers. Information obtained from NCB staff who had worked at Twechar Yard and Bedlay. Neilson Reid business records and drawing archive material. The very heavy lining has since been removed.